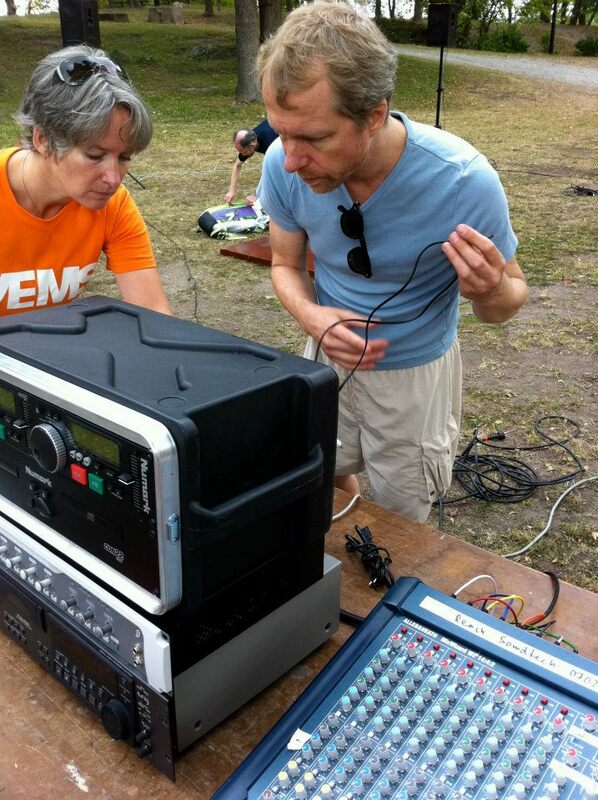 Mari Kretz and Johannes Bergmark at VEMS' yearly summer concert, Långholmen, Stockholm 2011, photo © by Per Åhlund. I don't normally write music for other musicians. I make music alone or in cooperation with others. To compose for a group of people that are only supposed to express what I want, my vision or utopia, is an act that in itself contradicts what I want, my vision or utopia. I want to avoid hierarchic use of power. I want to increase the instances of equality, discussion and critical thinking and at the same time I hope to inspire others to take their liberties. To engage, then, in an activity that is hierarchic, is not appealing for me. In that sense, I don't fit in the standard image of what a composer is. However, I often make compositions, in the sense of music with predetermined sound structure (also improvised pieces are compositions, though). Since it's usually just my own and not forced upon others, it's a cheap process. Either it's on “tape” or performed live by myself. Some of my favorites lately are described below. 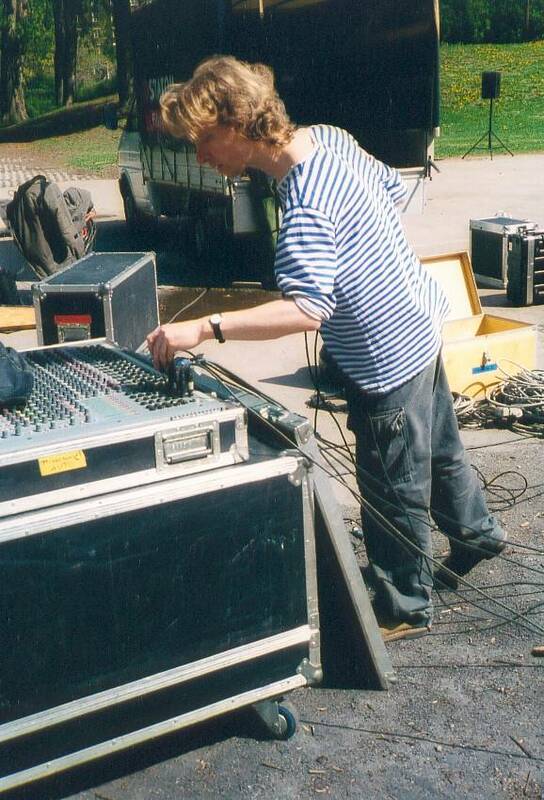 Bergmark checking the settings at the electro-acoustic concert “PolarEkonsert” in Rålambshovsparken, Stockholm 2001. Updated the 1st of October, 2016.